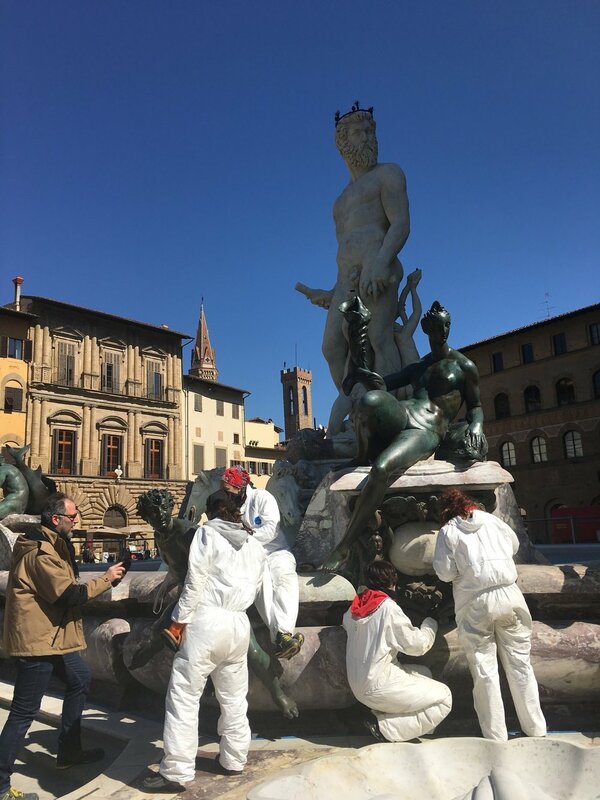 The most recent restoration work in Florence is the iconic Neptune Fountain in Piazza della Signoria. Commissioned by Cosimo I Medici to sculptor Bartolomeo Ammannati, the fountain was inaugurated in 1565 as the first public fountain in Florence. After two years of meticulous work and at a cost of 1.5M euros donated by a private foundation, the fountain was revealed in its original beauty on March 25 of this year. The restoration involved cleaning the marble and bronze sculptures; reactivating the waterworks as originally designed; and protecting the artwork with an alarm system which activates if someone crosses the iron fence that surrounds the fountain.